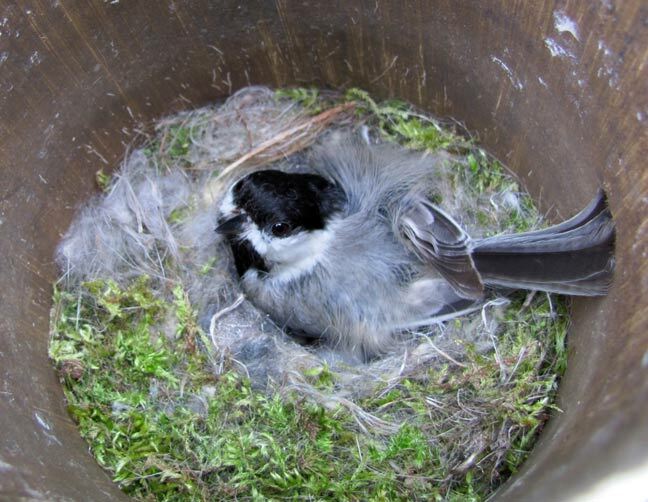 Black-capped Chickadee female sits tight on her babies. Copyright © 2019 Bluebirdnut.com. All rights reserved.